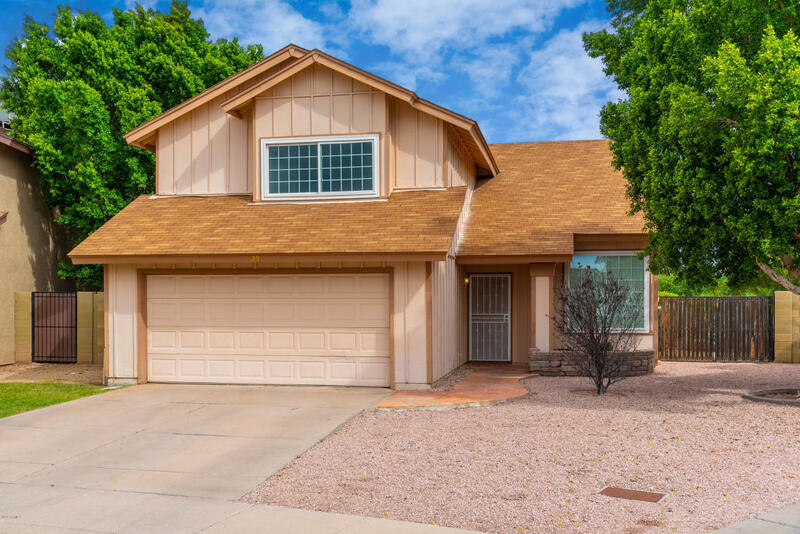 Hard to find beautiful 4 bedroom home with premium lot in highly sought after Homestead community with ample natural light, updated dual pane windows and has plenty of space. Premium flooring throughout the first floor for easy clean up and enjoyment. Gorgeous kitchen with upgraded cabinets & granite counter space. In the 3 bathrooms, you will also find upgraded cabinetry and granite counter-tops. Huge corner lot backyard with lush, mature greenery and citrus trees including covered patio, plenty of outside storage, garden and options galore. The location is premier, near the 202, in an A+ school district, shopping, restaurants & more! Amenities include pool, tennis court & 2 racquetball courts! House won't last long, schedule showing today!